Dressage is a French term meaning "training." Although the discipline has its roots in classical Greek horsemanship, dressage was first recognized as an important equestrian pursuit during the Renaissance in western Europe. The great European riding masters of that period developed a sequential training system that has changed little since then and is still considered the basis of modern dressage. The fundamental purpose of dressage is to develop, through standardized progressive training methods, the horse's natural athletic ability and willingness to perform, thereby maximizing its potential as a riding horse. 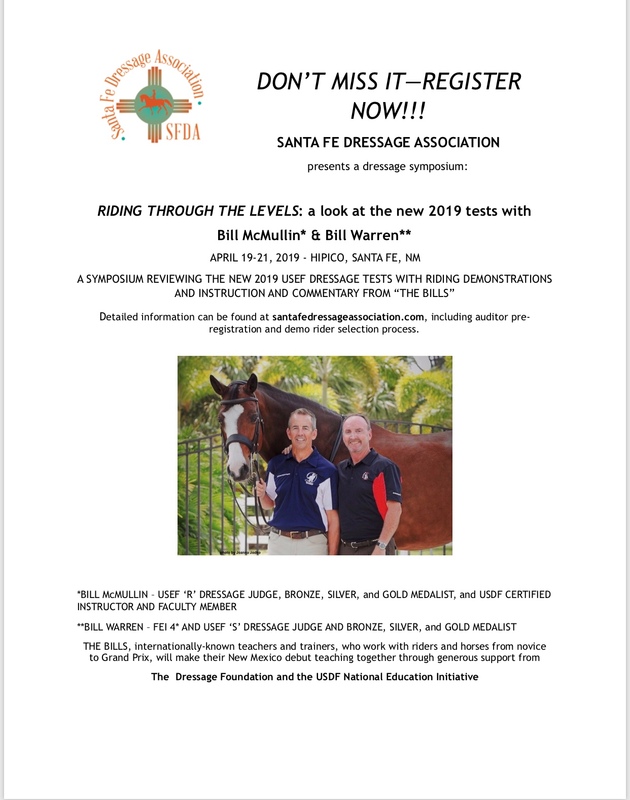 For more information please go to the United States Dressage Federation. Previous Regional Director messages may be found under the archives tab.